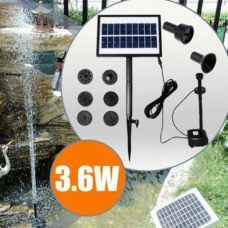 Special Features 2 Operating Modes: as a lawn light and as a mosquito killer; Safe and harmless for people. Purple light wave length 38cm. 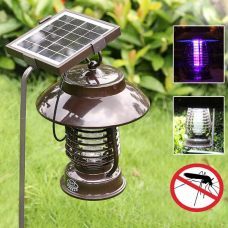 Solar LED Lamp with Insects and Mosquito Killing mode is powered by Solar Power and do not require electric wires and additional sources of energy. 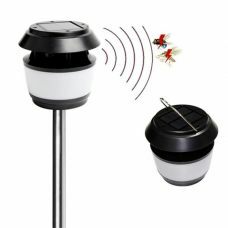 The Product is a high-quality energy-efficient invention to protect your family, house area, and garden from flying insects mostly from Mosquitos. 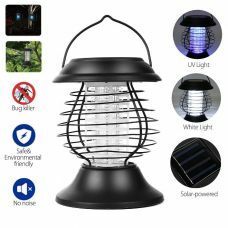 The Lamp operates in two different modes: steady on lighting illumination and killing mosquitoes by luring them with ultra-purple light and neutralize by high-voltage electrode net around the Light. 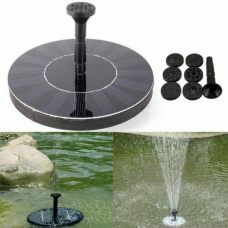 The Product is a low-maintenance and cost item. 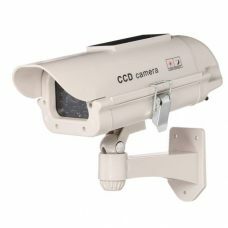 It has a built-in automatic light sensor that activates the Lamp at night and turns it off during the day time. The sensor enables the mode you chose as a default. Purple light produces ultraviolet light radiate with a wavelength of 380mm that have a phototoxic excitement effect on insects. 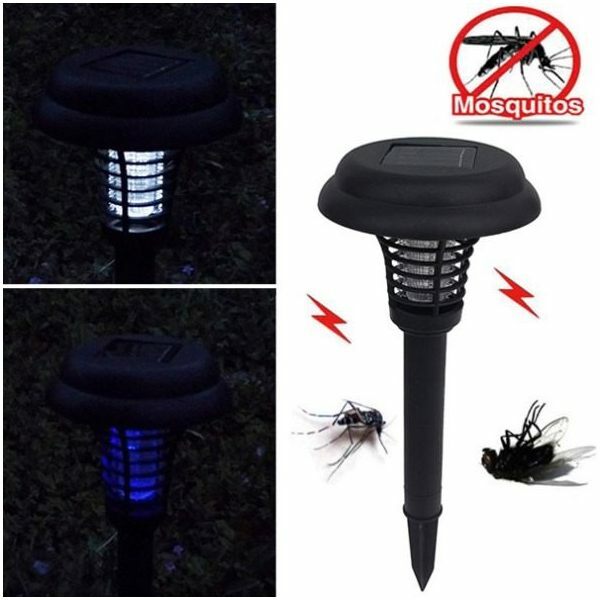 The high-voltage electrode net will kill them after the pests fly closer to the light source. This is one of the most efficient, cost-less, and safe way to get rid of insects and mosquitoes from outside of your home. 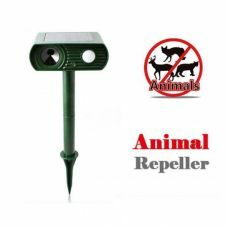 - 2 Operating Modes: as a lawn light and as a mosquito killer. - Use ultra-purple light to attract insects and mosquitoes and kill them with high-voltage electric impulse. - Totally safe and harmless for people. 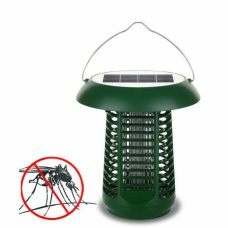 1 x Solar Anti Mosquito Lamp. 1. Require direct sun to charge the battery. 2. 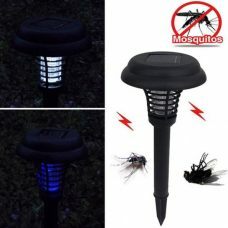 Only the purple light works to attract and kill insects while the white light is just for illumination. 3. Purple light and white light cannot operate together at the same time. 4. Despite the harmlessness for people, keep the product away from the kids and pets. 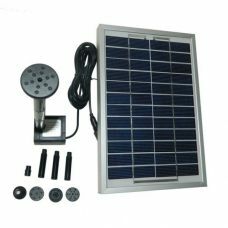 Solar lamp - saw results! 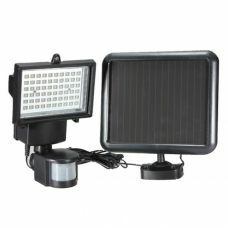 The solar lamp is really good. It worked as described. This morning I saw many insects dead around the lamp. Received two of them and just set them up. Hope they work! The deliver was ok. Now I must try them out. I get bother with the mosquitos and come out in lumps when they bite me. The lamp has managed to catch several on the few nights they came out. The sungives enough power to mozzie killer to last till daylight. Moreover, the purchase looks like a lantern and thus attractive addition to garden.